Netflix with only screen Martin Scorsese's The Irishman for two weeks in theaters, says Paul Schrader. Schrader went on to say that the streaming giant "doesn't care about theatrical windows." Many were under the impression that Netflix would be rolling out the red carpet and giving this Scorsese project more time in theaters, but that apparently isn't the case, even though it could very well end up being an awards season contender. Paul Schrader and Martin Scorsese have worked together a number of times over the last several years, starting with the iconic 1976 film Taxi Driver as screenwriter and director, respectively. In a recent interview, Schrader talked about the entertainment industry and how much has changed since the 1970s. He says, "The studios are collapsing. Netflix is the new model," and adds that not even Scorsese could get The Irishman in theaters for longer than two weeks. Schrader explains. "Netflix has also upended film financing because since the 70s, a lot of films are financed by selling territories. You sell foreign territories, you get some equity. But Netflix and Amazon, they don't want territories. They want the world or nothing. And so when you go to Netflix, they get the world and there are no profit statements and there are no box office figures but you get paid. So the reason, you know, Marty's got $140,000,000 for that film is because he's getting essentially paid up front." 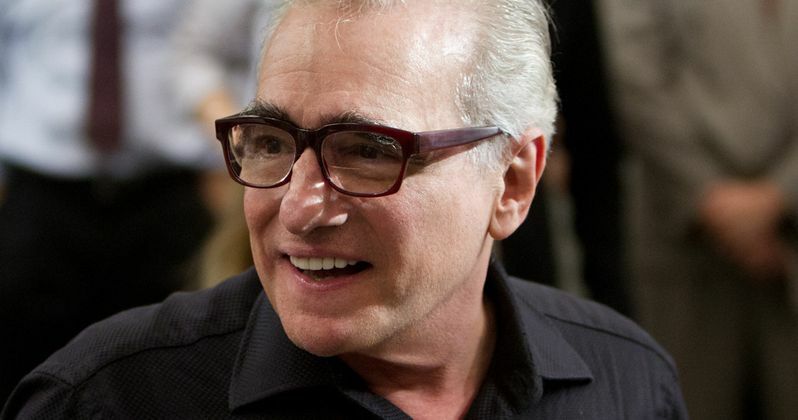 Martin Scorsese is currently in the post-production process of The Irishman and a release date has yet to be announced at this time. The limited theatrical release is to ensure that Netflix projects are qualified for the Academy Awards, which is a move that has been criticized by many in the film industry. However, like Paul Schrader is saying, the industry is changing, leading many to think that it might be time to look at the old model and see ways of improving for the future. The Irishman reunites Martin Scorsese and Robert De Niro, marking the ninth time that the duo has collaborated over the years. De Niro stars as Frank Sheeran, a labor union leader and alleged hitman for the Bufalino crime family with Al Pacino as Jimmy Hoffa. Joe Pesci, Anna Paquin, Bobby Cannavale, Harvey Keitel, and Ray Romano also star in the highly anticipated Netflix film. The Irishman is based off on Charles Brandt's novel "I Heard You Paint Houses," and Martin Scorsese has wanted to make a film adaptation for years. The project has been in development since 2014 and will tell the story through the use of flashbacks as Robert De Niro's Frank Sheeran recounts his story. While an official release date has not been announced, it's believed that The Irishman will premiere some time in 2019. The interview with Paul Schrader was originally conducted by Slash Film.